According to a study from the Mattersight Corporation, after calling a contact center, many customers experience a feeling of frustration that persists even after they hang up the phone. While this news may be a negative for call centers, as 3C Contact Services observes, a lot can be learned from the results of this study. The featured list of ways that call centers and other organizations can improve consumers’ experiences based on the responses of the 1,000 people surveyed is a good start. Customers today have an increasing number of resources at their disposal for resolving issues or making purchases. By the time they reach out to a call center, they have typically exhausted all of these options and are already feeling frustrated and stressed. In fact, nearly two-thirds of customers surveyed reported that they feel stressed before they even speak to a call center agent and even then, 75% said that the still felt frustrated even if the call was successfully resolved. Removing this sense of frustration from the customer experience is a challenge for call center managers. 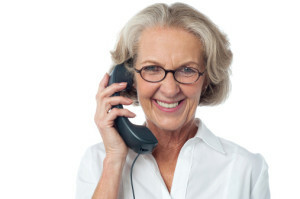 For many, getting the call resolved as quickly as possible often trumps providing the customer with a personalized experience and letting them know that their call is indeed important. Match agents with customers based on personality: If possible, try to find an agent with whom the customer shares similar personality traits. According to Mattersight’s survey, 92% said that they would choose a call center agent based on their personality and if they were genuinely compassionate to their issue and wanted to see it resolved. Ensure your agents are aware of common issues: Being knowledgeable about the issues that your customer may face is something they are expecting as well. As stated earlier, when a client calls in to your call center, it is typically a last resort since they haven’t been able to troubleshoot the problem they are facing on their own. Keep your staff up-to-date on any and all issues your customers may run into. Make customers believe their call is important: When customers hear the phrase, “Your call is important to us,” they want to believe it, but it’s up to your agents to prove it. Having a recorded message while they’re on hold isn’t going to cut it. The survey’s respondents said they want the agent they speak with to acknowledge that their call is indeed a priority. It’s also important for agents to be conscientious, logical, and able to deal with issues in a concise and specific manner. If people have a positive experience when they call in for assistance, they will become repeat customers. Knowing that their feelings of stress and frustration will be resolved once they reach an agent is what drives consumer loyalty, and this is what makes 3C Contact Services so successful. To find out more about the services we offer and our customer retention standards, contact us today. 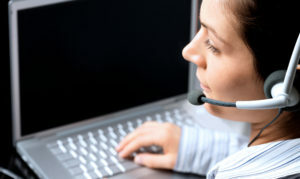 “New Study Uncovers Critical Flaws in Call Center Strategy,” MarketWatch.com, June 9, 2015; http://www.marketwatch.com/story/new-study-uncovers-critical-flaws-in-standard-call-center-strategy-2015-06-09?reflink=MW_news_stmp.